The complete set of 8 books. 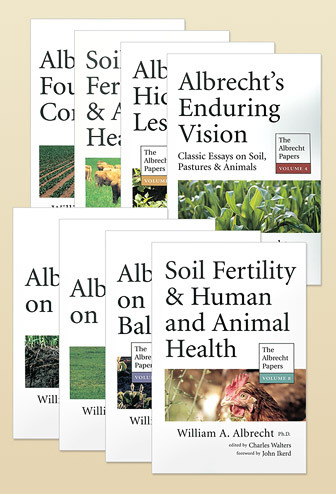 During his long and distinguished career, Dr. Albrecht made the case for an agronomy based on healthy, balanced soil ecosystems rather than simplistic chemical inputs. 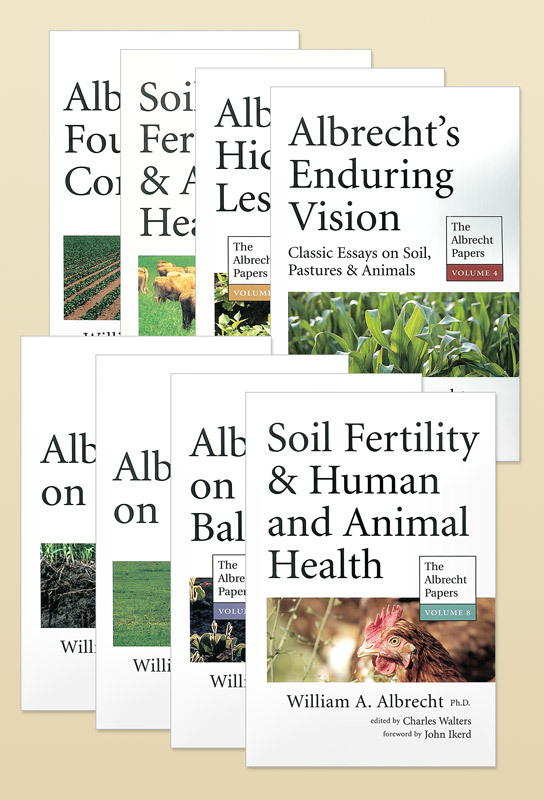 Now, more and more farmers and agronomists are turning to the genuine science of Dr. Albrecht, whose observations and percepts are as applicable today as when they were first written.